When you give as God tells you to, He will give you more. Not only is it safe to give, it's the way to greater blessings. A farmer who sows his seed doesn’t lose his seed; he gains a harvest. When you sow generously God gets involved in your finances. Can you imagine a more secure position to be in? The Bible says, “The generous will prosper” Proverbs 11:25. And as you reap, from the seeds you sow, you are financially able to give more - and round and round it goes! 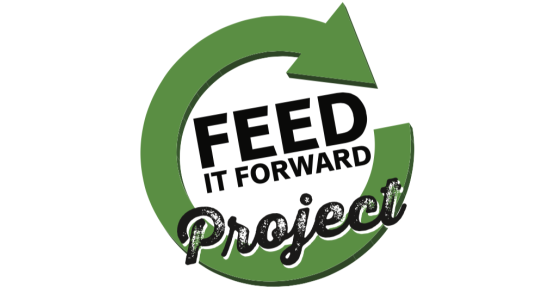 ​​PROJECT FEED IT FORWARD is a human service movement that adds money and meaning to your life and business. Call us social/spiritual entrepreneurs, cause marketers, change agents....ultimately, we feed people and provide a better source of nutrition to those in need. Living life on mission, we utilize the proven system of network marketing to impact hunger. We create an income producing asset and use that income to fuel causes that are close to our hearts. By creating a mastermind of spiritual givers, we create abundance for all. Get the F. A. C. T. S. behind our movement! We share the FOCUS of our mission. ​We explain the ACTION plan necessary to create the momentum to feed the large number of people we want to bless. The COMPENSATION comes from the company we partner with but also in the blessings we receive from doing His work here on earth. There are TOOLS provided for sharing our vision, for building your Project Feed it Forward fellowship, and for information and inspiration to prepare you for a life on mission. And lastly, SPIRITUAL ABUNDANCE MARKETING speaks on how this is a God sized vision to impact hunger and make our life work, our ministry.